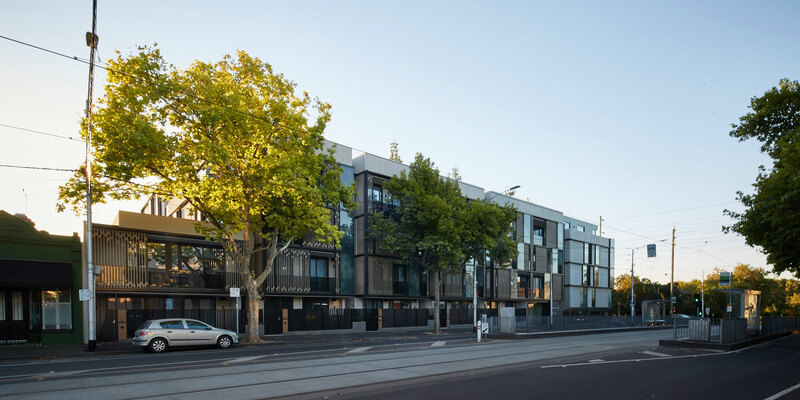 PDG’s latest residential offering Arden Park, located in North Melbourne on the corner of Arden and Abbotsford Streets in a four-level, boutique development consisting of 88 large one, two and three bedroom apartments. Aptly named, Arden Park is a unique project dedicating its roof to an exclusive resident park. Centered around a large grassy open space it will incorporate in-built timber sun lounges, park benches, barbeque pavilions and veggie plots providing completely unique resident amenity. Purchasers will be able to select from 20 design types with the choice of one of four different frontages to suit your personal preferences. Eastern frontage along Abbotsford Street offers morning light, Arden Street fronting apartments will enjoy a prized northern aspect, residents fronting Little Lothian Street will have the appeal of a quiet street frontage, whilst elevated apartments with south or eastern windows will capture views of the city skyline.